What this Prestashop File Upload module offers? Option to show File upload button only when selective product(s) is added to the Cart. Email notifications for both Merchants & Customers. Prestashop file upload module gives you the ability to understand the client requirements for the ordered product by allowing them to upload files from product, cart or order page. The merchants can also upload files on product pages and make it available for download to help customers understand product in a better way. Upload product tutorials, use cases, guides, etc. The merchants can also upload files from BO in Order detail page. The files upload notification will be sent to customer and same file will be display in order detail page in customer my account section. The customer can also upload file from order detail page in my account section. The merchants can choose to display file upload option for selective product only. The extension smart enough to show File upload option on Cart / Checkout only when a specific product is available in the cart. Let Customers upload files from product, cart and (or) checkout, Order section in "My Account"
The customer can attach single or multiple files at a time by specifying title and description of every file. The Prestashop file upload module allows your customers to upload /send files from product, cart, checkout and order detail page. The customers can also attach files to their existing order from "My Account" > Order Section. The new file will be available for merchants to download from back office > order detail page.. Users can also view the order history and details along with their personal information. Those files locked by the admin can neither be updated nor deleted by the customer. 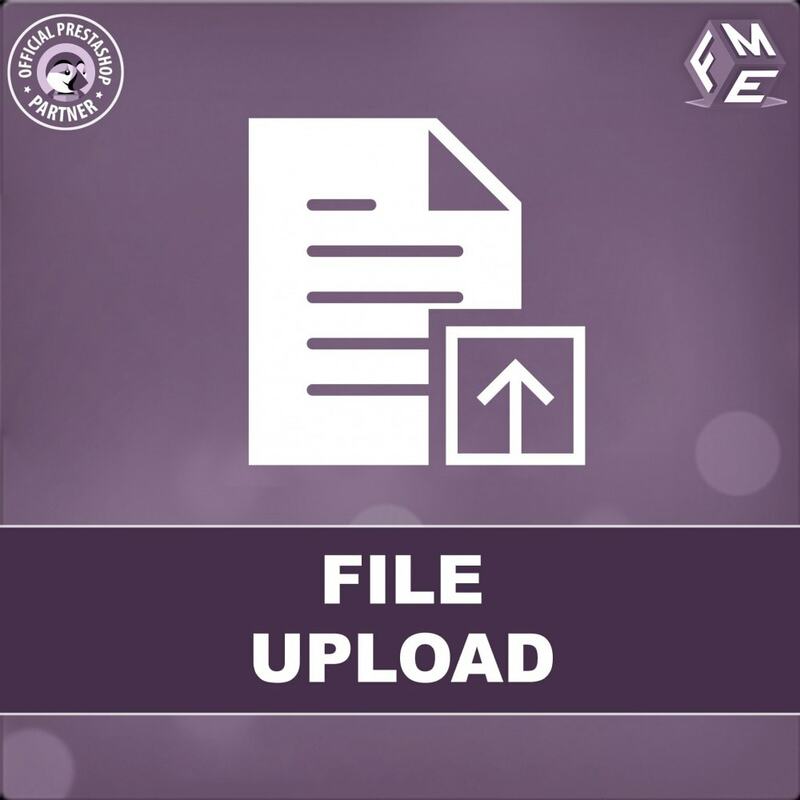 The customer can upload images, spread sheets, pdf files and almost every other file format to the pages by just dragging the file and placing it on the field. Multi selective file extensions and predefined icons for selected files are also shown. Das PrestaShop Modul Pretty URLs generiert SEO freundliche URLs Ihrer Produkte, Kategorien, CMS Seiten und Hersteller. Leitet alte URLs auf neue um mittels 301 Redirect um 404 Fehler zu vermeiden. Mit der Verwendung des PrestaShop Moduls Kunden registrierung können Sie eine Vielzahl verschiedener Felder im Anmelde / Registrierungsformular hinzufügen. Fügen Sie verschiedene Typen von Feldern wie z.B. Textfeld, Dropdown-Menü, etc. Privater Shop ist ein Modul um Ihren Shop privat zu schalten und nur einem eingeschränkten Publikum zugänglich zu machen. Dieses Modul eignet sich hervorragend um einen B2B Shop zu betreiben der nur registrierten Kunden zugänglich ist.